The plan is clearly aimed to compete with Netflix directly. Customers may recall that the current leader in the streaming video world split off its DVD services from the Instant collection in an attempt to increase revenue. This made a lot of people very angry, but so far hasn't seemed like a bad move. After all, no one competes with Netflix on volume of available content, and $8/month is still the best deal you can get for the amount of stuff available. Of course, what Redbox is offering is all that and more. There are DVD vending machine kiosks all over the country and they're easily accessible. They're frequently set up in stores like Wal-Mart, McDonald's or even gas stations. In short, it's easy to pick up a movie on the way home without going out of your way. This $8/month plan would offer parity with Netflix, plus the additional benefit of being able to grab physical copies of discs that the company's online component can't offer. This means the two will be competing largely on library size and, on that front, Netflix still holds a solid lead. As their deal with Disney highlighted, the streaming veteran knows how to court big content. We'll see if Redbox can manage to score similar contracts. At the moment, however, EPIX seems to be the only name being dropped. A big one, to be sure, but not enough. According to the press release, Redbox Instant will be open for a public beta "later this month." When it does, it will be available on iOS, Android, some smart Blu-Ray players and TVs, Google TV and the web. NEW YORK, NY -- (Marketwire) -- 12/12/12 -- Redbox Instant(TM) by Verizon, a joint venture between two market leaders, Redbox, a subsidiary of Coinstar, Inc. (NASDAQ: CSTR), and Verizon Communications Inc. (NYSE: VZ), unveiled further details of its soon-to-launch service and announced agreements with Hollywood studios and device manufacturers that will bring thousands of popular movies to consumers at home and on the go. Later this month, the Redbox Instant by Verizon beta product will launch to consumers. Priced at $8.00 per month, Redbox Instant by Verizon offers a high value subscription package that combines unlimited streaming of thousands of popular movies, including titles from premium network EPIX, with four one-night credits per month for the latest movie releases on DVD at Redbox(R) kiosks. For $1 more, or $9.00 per month, customers can opt to redeem their four credits for rentals on Blu-ray Disc(TM) at the kiosk. By combining both disc and digital movie formats, Redbox Instant by Verizon subscriptions offer consumers access to Hollywood's newest releases, as well as a rich catalog of popular movies, all for a great price. Customers can also use Redbox Instant by Verizon without a subscription and select new releases available for purchase or rental, or simply reserve for pick up at their local Redbox kiosk location, giving movie-lovers more choice and flexibility in how they watch their favorite films. "We are building a compelling entertainment choice through our ability to support both physical and digital distribution of movies that people love, made possible by the depth of relationships we've established with top Hollywood studios and distribution partners," said Shawn Strickland, CEO, Redbox Instant by Verizon. Through the agreement with EPIX, Redbox Instant by Ver izon's subscription customers will be able to instantly stream new releases such as Mission Impossible: Ghost Protocol and The Hunger Games from EPIX's studio partners, Viacom's Paramount Pictures (NASDAQ: VIA) and (NASDAQ: VIA.B), Lionsgate (NYSE: LGF), and MGM 90 days after they premiere in the traditional premium window. "Redbox Instant by Verizon will be an exciting new service for consumers in the digital entertainment marketplace and we are thrilled to be their partner, providing our movies from some of the world's leading studios," said Mark Greenberg, president and CEO of EPIX. "We have a long and successful relationship with Verizon FiOS, which was our first distribution partner at the launch of EPIX, and we are excited to build on that relationship with Redbox Instant. We are confident that the movies we have will be a popular and important part of the success of this new service." 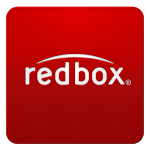 At launch, Redbox Instant by Verizon will be offered via the web, as well as through home entertainment, tablet and mobile devices, including iOS(R), Android(TM), Samsung(R) Blu-ray Players and TVs with SmartHub(TM), LG Smart TV and Blu-ray Players, and Google TV. More devices will be announced in the coming months. "Samsung's connected customers are very hungry for new services that provide the best movies on multiple devices," said Eric Anderson, Vice President of Content and Product Solutions, Samsung Electronics America, Inc. "Redbox Instant by Verizon provides our customers with the latest in Hollywood entertainment choice, control and discovery." Redbox's 10 years of offering customers the newest releases at great value, coupled with Verizon's leadership in On-Demand and Digital Distribution of movies, has set the foundation for how Redbox Instant by Verizon will deliver content and value to the consumer. Redbox Instant by Verizon is working with movie studios to secure the freshest content selection, and intends to tap heavily into pop culture events and social conversations to help influence and surface relevant movie titles to consumers.